"The Master of Comedy takes on The Master of Suspense!" An outlandish spoof of Hitchcockian suspense thrillers by comedic genius Mel Brooks. Dr. Richard H. Thorndyke is the newly appointed director for the prestigious Psychoneurotic Institute for the Very, Very Nervous. But things start to go badly for him when his coworkers accuse him of murder. Believing he has been framed Thorndyke goes on the run and attempts to prove his innocence. Along the way he also has to struggle with the rare and debilitating psychological condition he suffers from; "high anxiety". 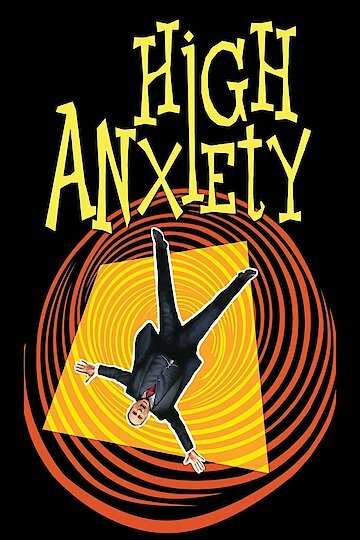 High Anxiety is currently available to watch and stream, buy on demand at Amazon, Vudu, Google Play, iTunes, YouTube VOD online.